On the other hand I kind of like the cooler temperatures for sleeping. It wasn't the best year in my garden for tomatoes; they had a slow start and took a long time ripening. The plants have finally fallen from the frost we had a few nights ago. Peppers were fantastic, even though they didn't grow very big. It's that time of year again. 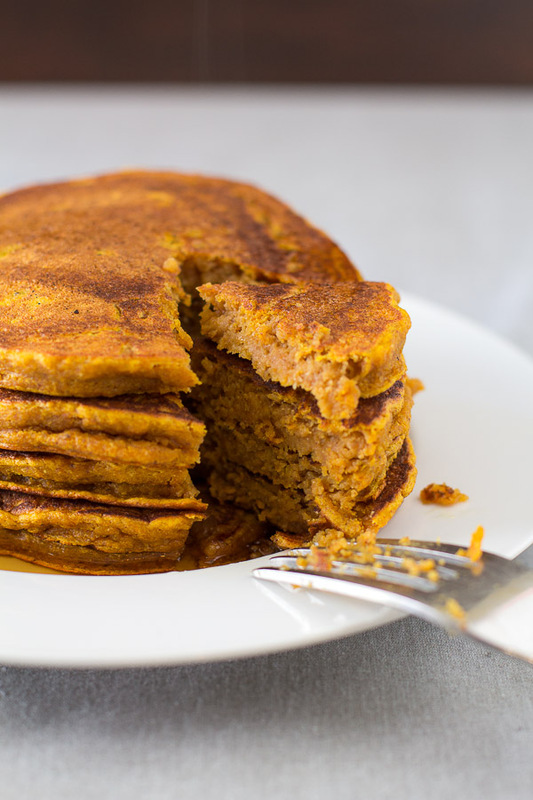 Time to open my first can of pure pumpkin.... today we're talking about pancakes. 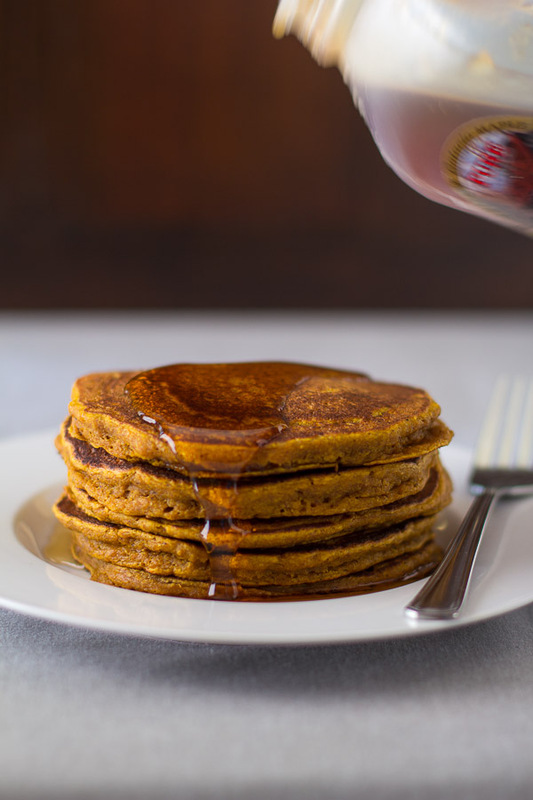 There are some recipes that you always come back to, and these pumpkin spice pancakes are one of them. Pancakes don't happen nearly as often as I'd like in our house, but when they do it's magical. After-all, breakfast is my favourite meal of the day. Combine flour, baking powder, salt, cinnamon, nutmeg, ginger, and clove. Set aside. 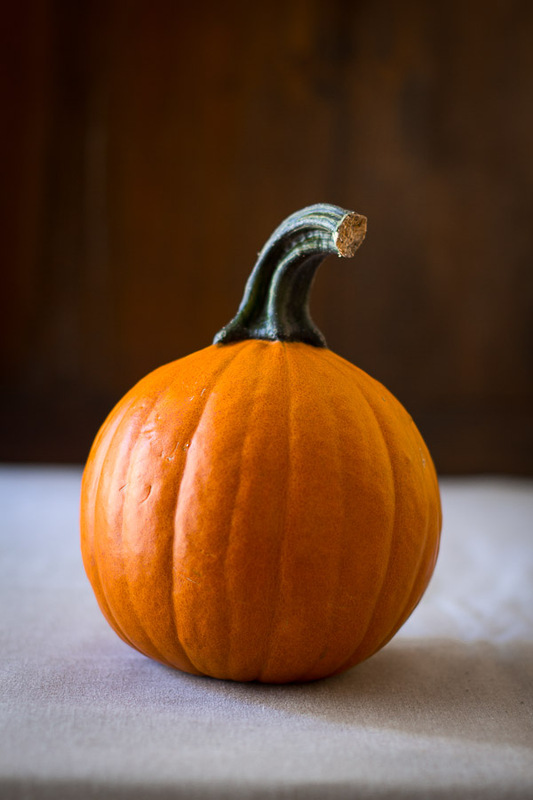 In a separate bowl, whisk together pumpkin puree, egg, oil, maple syrup, and milk until very well blended. With a rubber spatula, fold wet mixture into dry mixture. Add a touch more milk if the batter is too thick to pour. Heat a skillet (or griddle) over medium heat. When skillet is hot, pour 1/4 cup of batter into the pan. Cook 3 minutes until bubbles begin to form, then flip and cook for another 2-3 minutes until cooked through. Serve with maple syrup and cinnamon, or your favourite toppings. Maybe even a smear of maple cinnamon almond butter.